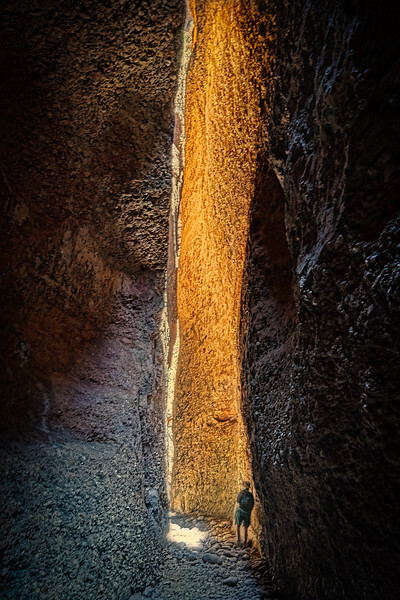 Echidna Chasm is one of the highlights of the World Heritage Site of the Bungle Bungle in Purnululu National Park. The trail features gorge walls that rise 200 metres with sections as narrow as one metre. It can be a bit disconcerting looking up and seeing large fallen boulders lodged tight between the walls. Tall Livistonia palms provide a spectacular setting near the gorge entrance. During the middle of the day, sunlight penetrates into the gorge creating incredible golden hues!